A full tang extends the entire length of the handle. A full tang may or may not be as wide as the handle itself, but will still run the full length of the handle. Generally speaking, a full tang is the strongest tang construction (though everyone should know by now that there are no such things as absolutes). The main reason is that a full tang incorporates the most amount of steel into the handle, meaning it's less likely to bend or fail while in use. A tang extending the length of the handle not only gives the user more leverage but also better balance. 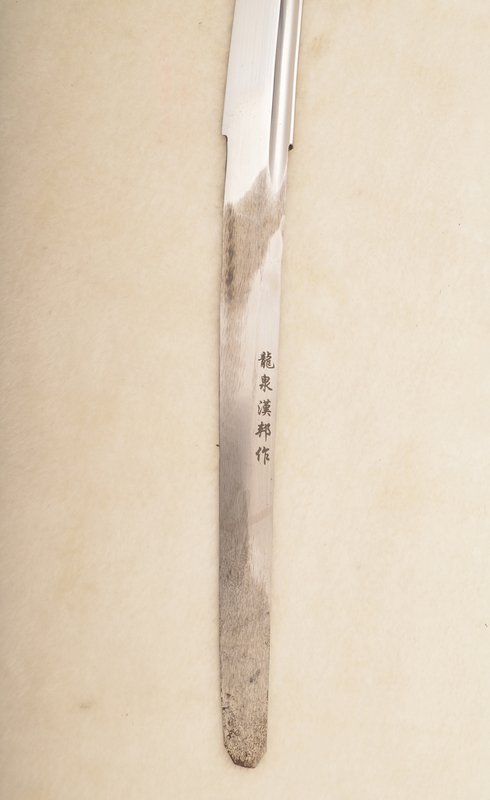 A full tang sword generally allows for increased force leveraged through the handle against the resistance of material being cut by the blade, an advantage when used against harder materials or when the blade begins to dull. A full tang also increases the amount of stock metal in the handle of the tool which can be beneficial in altering the balance point of the tool since the blade of a sword is often quite heavy compared to the handle. 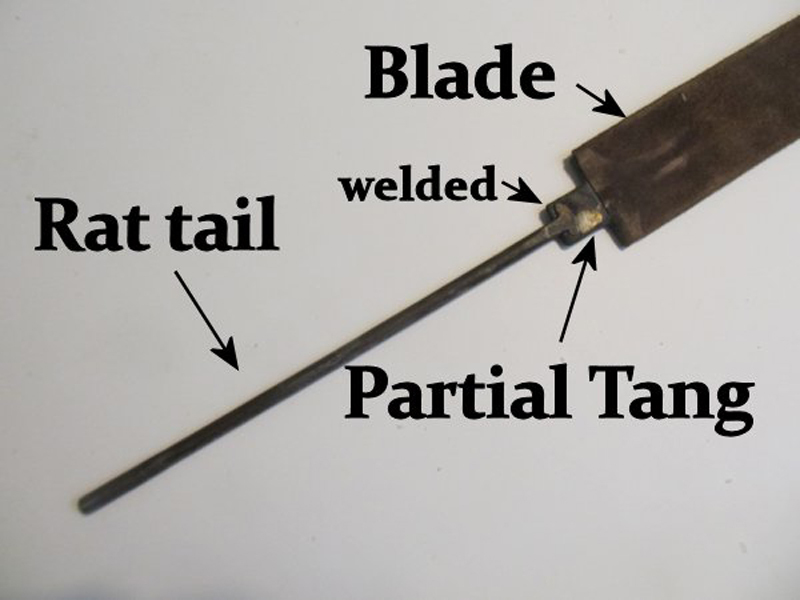 Partial tang designs include stub, half, and three-quarter tangs, describing how far the tang extends into the handle of the tool. A partial tang sword is generally not able to leverage as much force against the resistance of material being cut as a full tang design would allow. This limits the amount of force which a user should apply to the handle of such a weapon. Such designs may be optimal in light-weight swords designed to be kept extremely sharp and used to cut less-resistant materials. A rat-tail tang, also known as a stick tang, is one of the more drastic sword tangs. 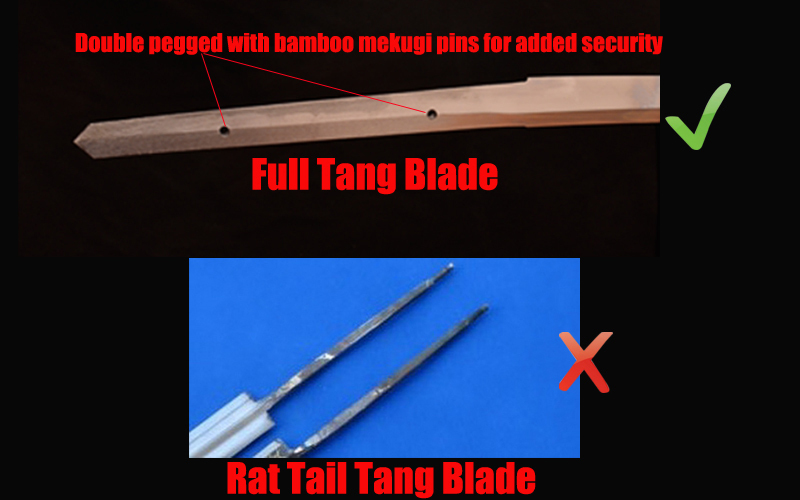 The tang uses less stock material and is significantly narrower than the blade, thus giving it the resemblance of a rat (The blade is the thick body of the rat while the tang looks like the thin tail.) It is the hallmark of a cheap weapon that's more dangerous to use because of the blade flying off rather than actually hitting someone with it. Swords from HanBon Forge are all full tang which are double pegged with two bamboo mekugi pins for added security, we have no partial tang or rat tail tang blades. 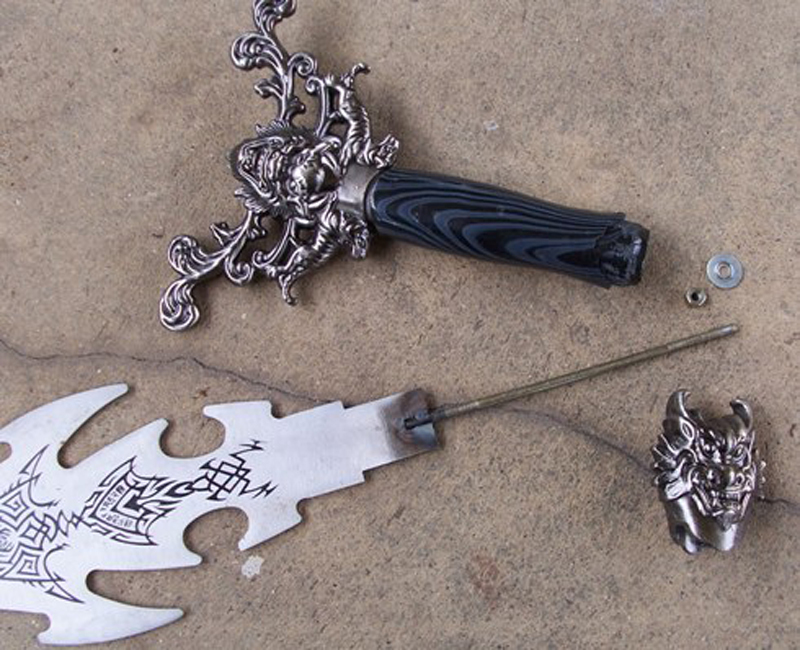 Swords can be fully disassembled and assembled.